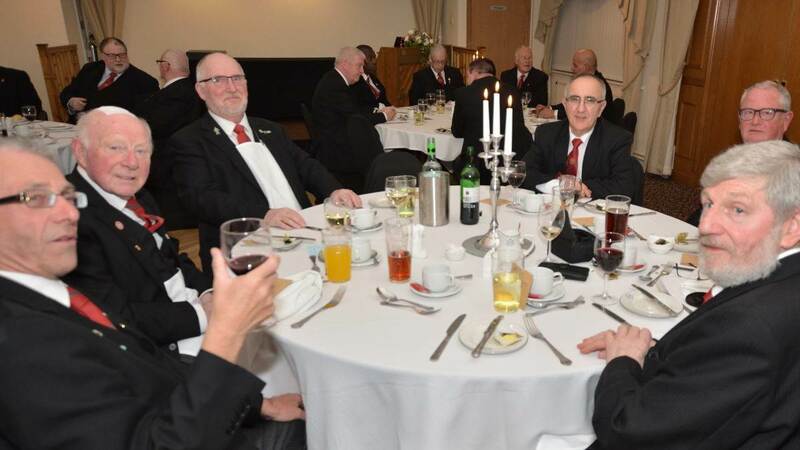 You would fully expect a Lodge with a low number to have been around for quite a while. 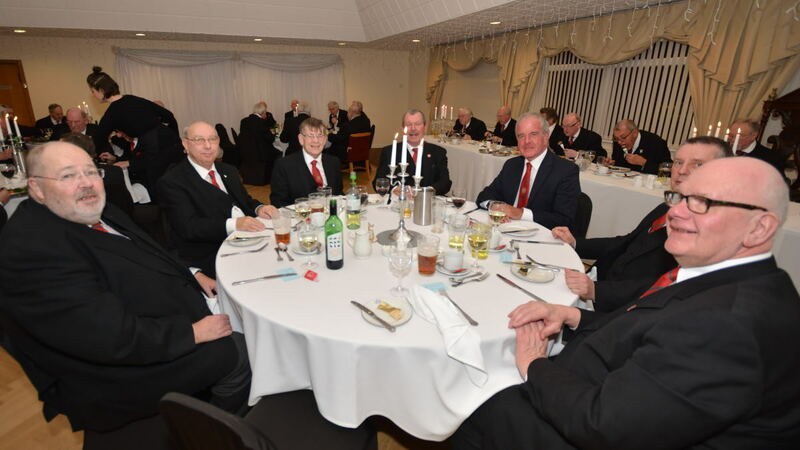 Well, 680 is pretty low so Goulborn Lodge of Mark Master Masons went ahead and celebrated the centennial at their meeting on Wednesday, January 30th 2019. A huge amount of planning and organisation went into the celebration, with dates and diaries coordinated months ago. 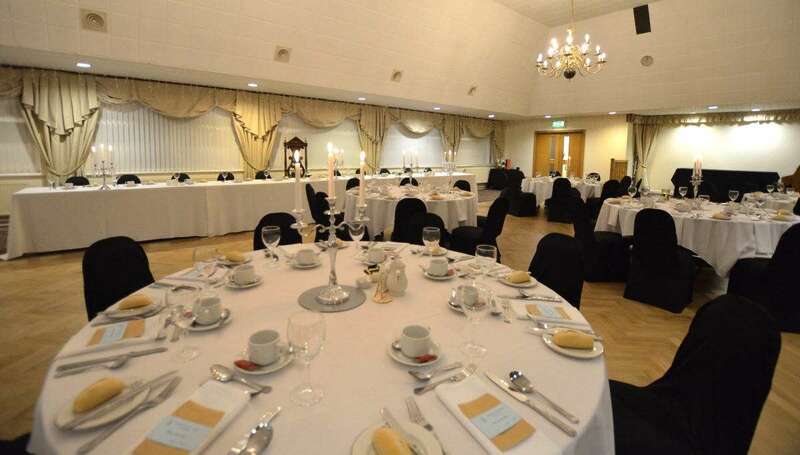 Those who were responsible for the logistics and arranging must be congratulated, they know who they are, as everything on the night seemed to go smoothly and to plan. More of that later. 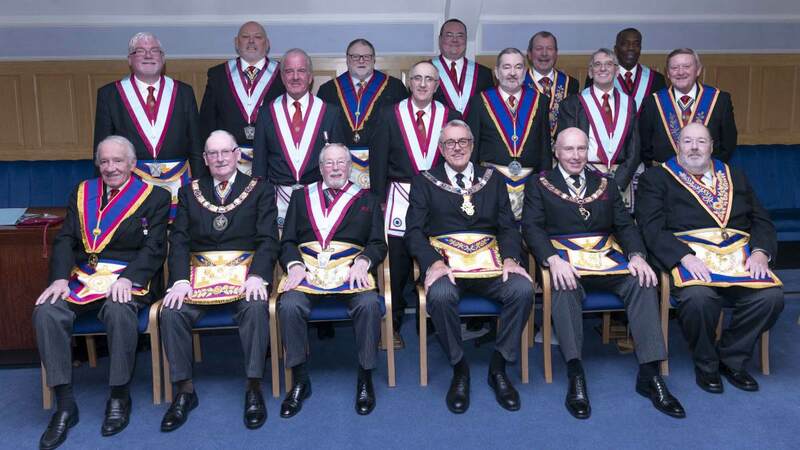 Official photographs were captured to record the attendance and occasion prior to the meeting, the Lodge finally opening at 6:00 pm prompt by the W.M. George Davis P.G.J.O. with Middleton lodge room full of Mark Masons in their regalia. After a few items of business R.W.Bro. 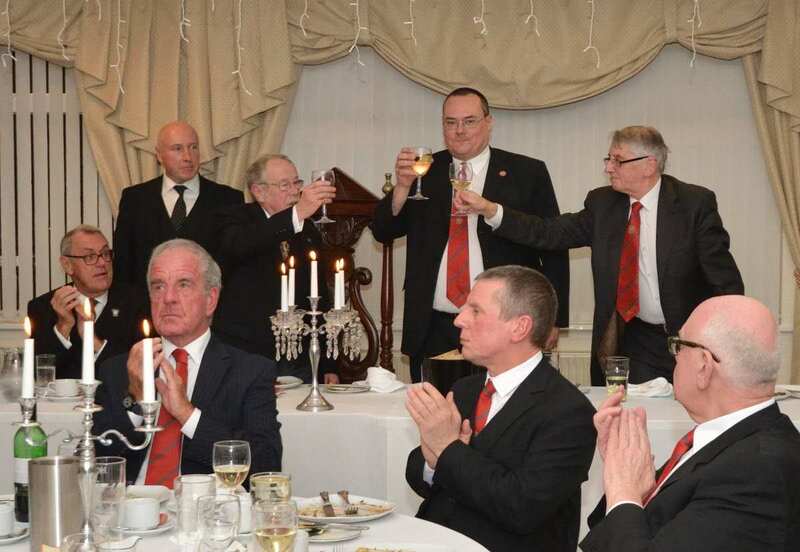 Alexander Sillars McLaren was admitted into the lodge accompanied by a deputation of Mark officers of the year, more than 28 in number. The W.M. offered the gavel to the P.G.M. who readily accepted it on this occasion. 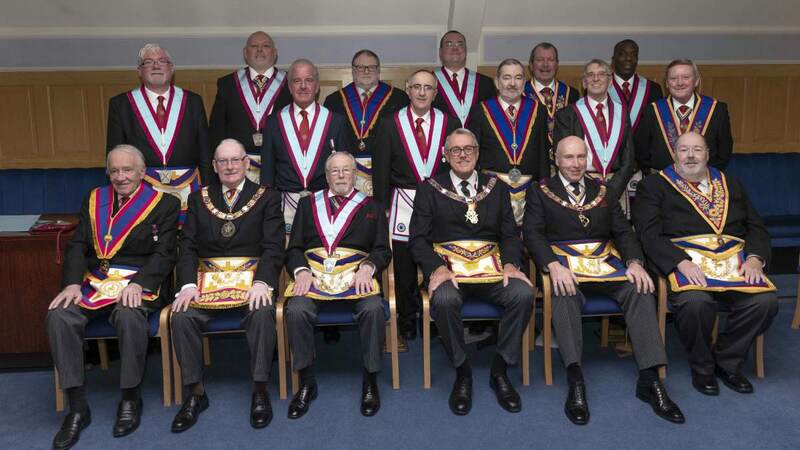 From where I was sat you could feel the excitement of the ceremonial taking effect as the brethren then welcomed the Assistant Grand Master R.W.Bro. Stephen Davison. 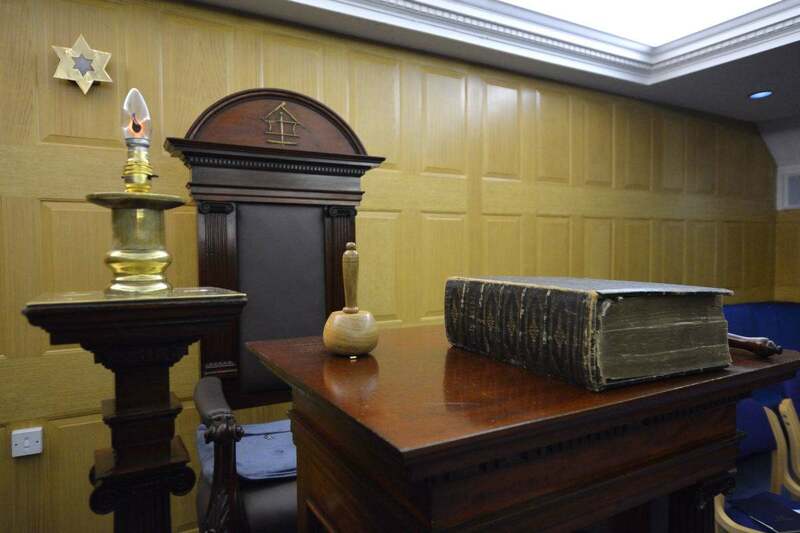 He quietly and calmly accepted the gavel from the PGM and settled into the Chair of Adoniram. He must have done it hundreds of times. Salutations were requested at the appropriate level and the brethren complied with the Mark Honors required of the rank in attendance. 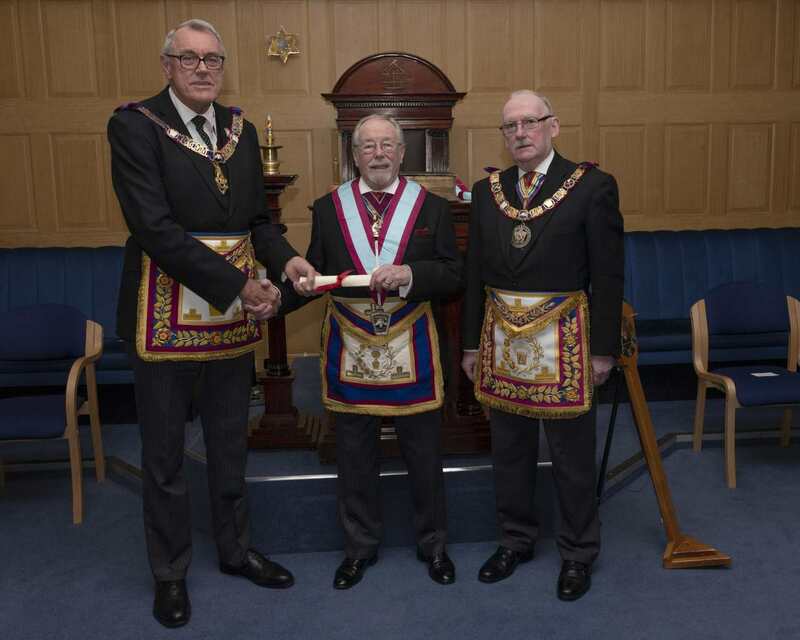 The Assistant Grand Master then instructed the AGDC to read the original Goulburn Mark Lodge Warrant from 1819, for the attention of the brethren. He then requested the same for the 2019 centennial warrant, which was duly done. 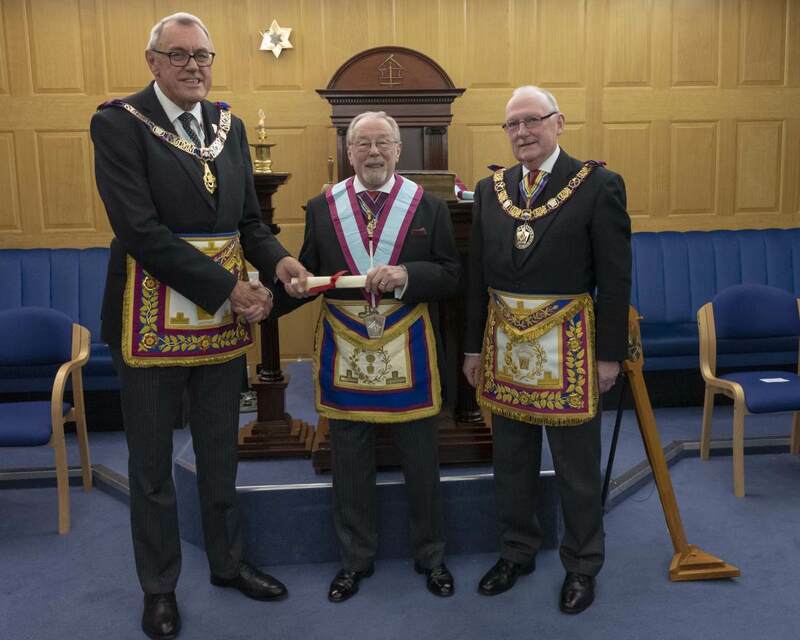 The Centennial warrant was then presented to the WM for safekeeping by the lodge for the next 100 years. 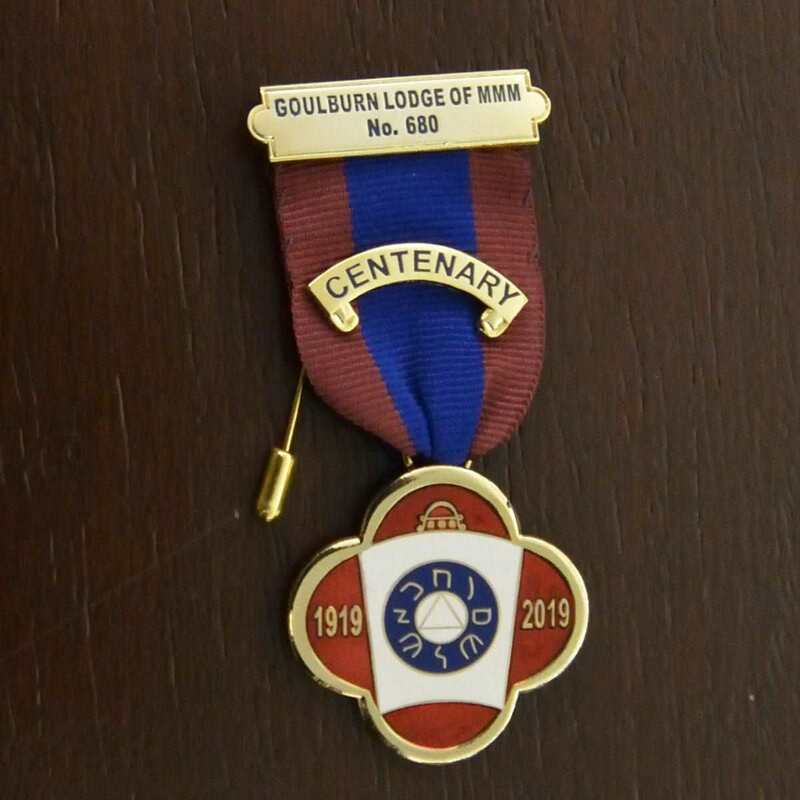 The brethren assembled in the North and were individually presented with a special centennial medal by the Assistant Grand Master from the WM Pedestal. It was a joyous moment. 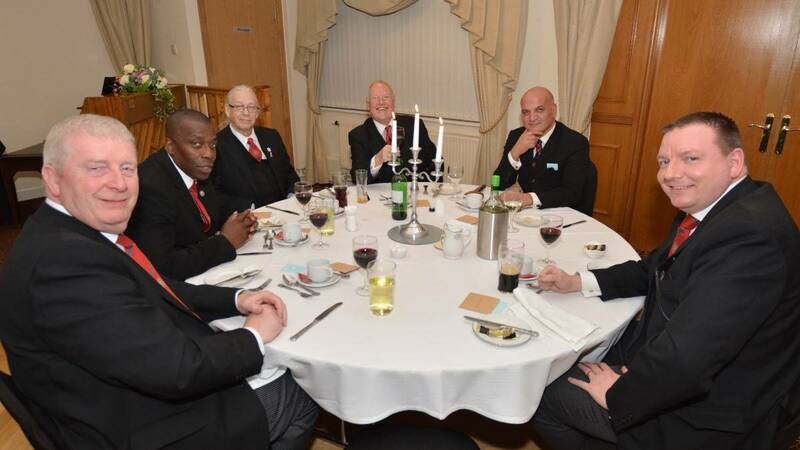 After the brethren had taken their seats the WM was invited to retake his rightful seat as Worshipful Master. It was at this point that the proceedings went off plan. The Assistant Grand Master made a declaration and promoted the WM to the rank of Past Grand Senior Overseer. 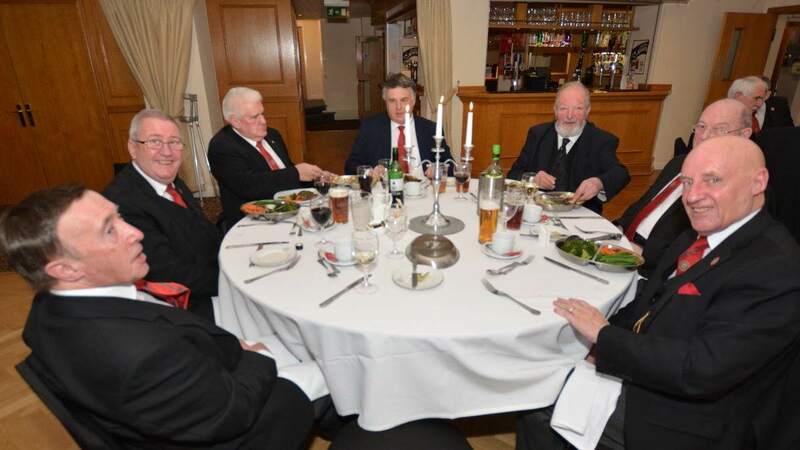 A big surprise to both the Worshipful Master George William Davis and the brethren of Goulborn Lodge. 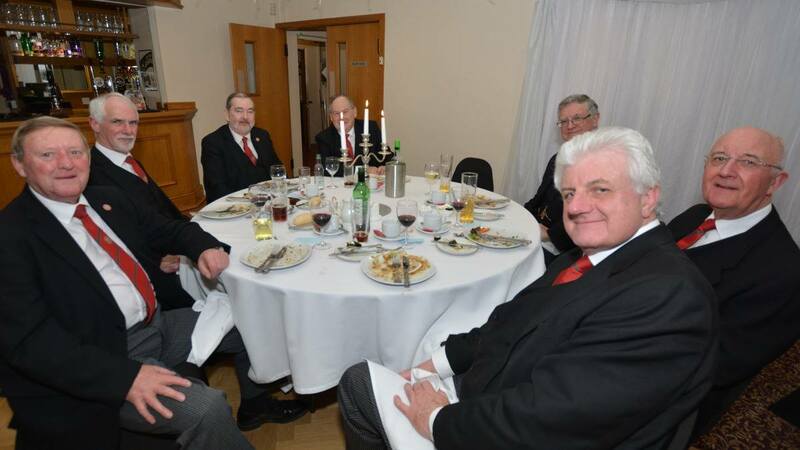 The social board was a joyous happy occasion, with the brethren enjoying a hearty meal with plenty of wine and drinks to boot. 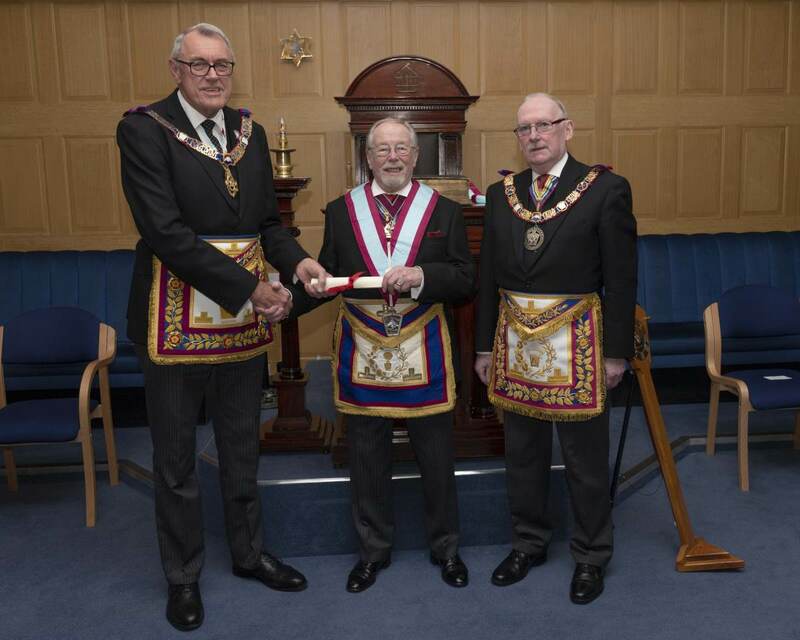 Proceedings were again changed as the Assistant Grand Master asked for the JW to come forward and receive his centennial jewel. Apparently, W.Bro. Hamid Farahzady was unable to attend the lodge meeting but had managed to get to the social board, and so not to miss out he was presented with his jewel in front of his lodge members. 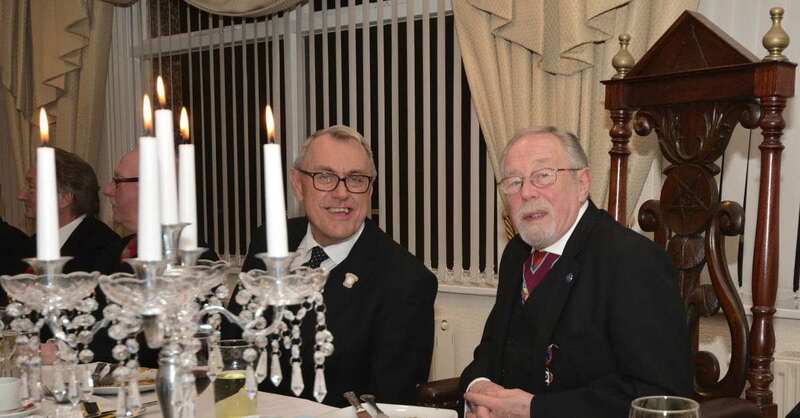 The official toasts and responses by both the Assistant Grand Master and the Provincial Grand Master were well received by the brethren and the festive board came to a close with the Tylers toast. 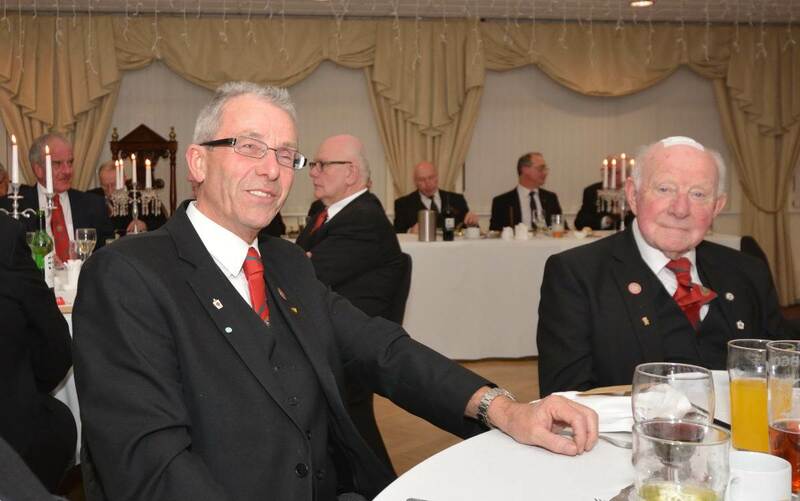 Later in the evening the Assistant Grand Master RWBro. 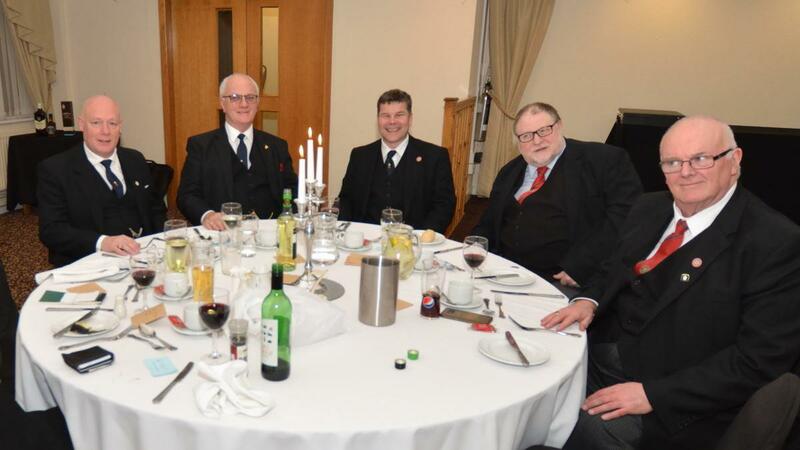 Stephen Davison took the opportunity to meet and chat with as many of the brethren as possible. It was a real pleasure to meet him after such an auspicious occasion.